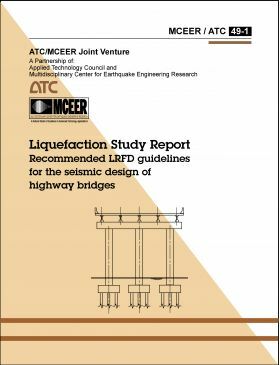 Minimum quantity for "Liquefaction Study Report Recommended LRFD Guidelines for the Seismic Design of Highway Bridges" is 1. 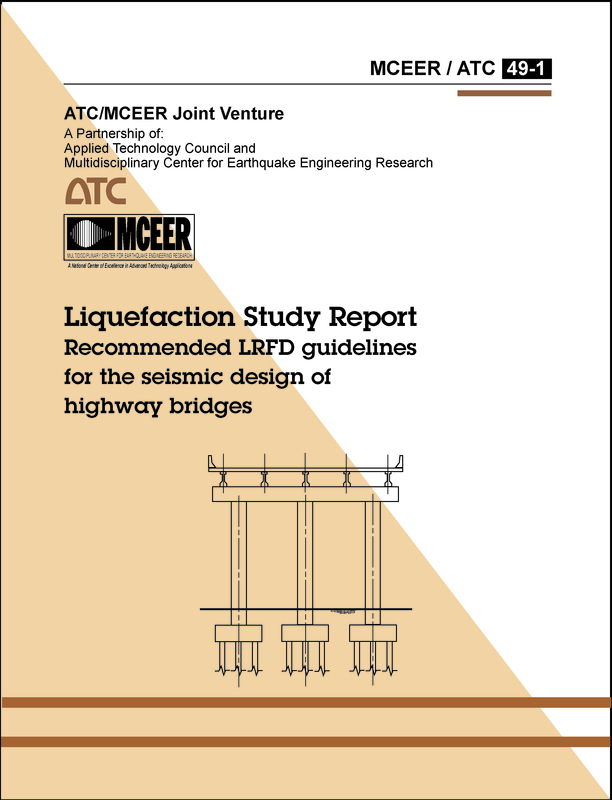 The ATC-49-1 report, Liquefaction Study Report, was prepared by a joint venture partnership between ATC and the Multidisciplinary Center for Earthquake Engineering Research (MCEER). (Published 2003, 208 pages plus CD containing nine appendices). ABSTRACT: The MCEER/ATC-49-1 Liquefaction Study Report documents the results of an investigation of the implications of liquefaction and associated hazards, lateral spreading and flow on bridges designed in accordance with the recommended LRFD Guidelines.æ The report documents case study investigations of two bridges (one in the Western United States and one in the Central United States) and includes a discussion of methods to assess liquefaction potential through the use of simplified and site response analysis methods, estimate the effects of liquefaction, including displacements, and mitigate the hazard through use of both ground improvement and structural pinning procedures.